The first picture looks like a dream loft! A feast to my eyes! 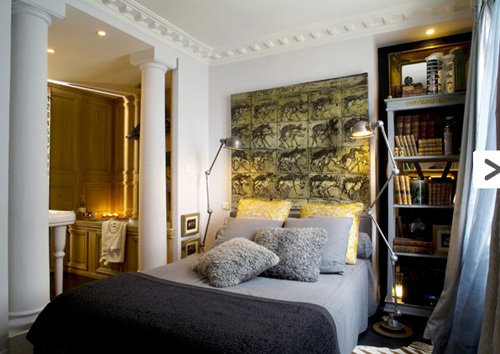 I love the combination of white, grey and gold in the bedroom in the last photo, very sophisticated. Those baby dolls really freak me out too. oooh… my verdict’s not in yet on what I think of the dolls. haha.. creepy? or not creepy? unsure.. but clever..